B. Defending approach depends where ball is. 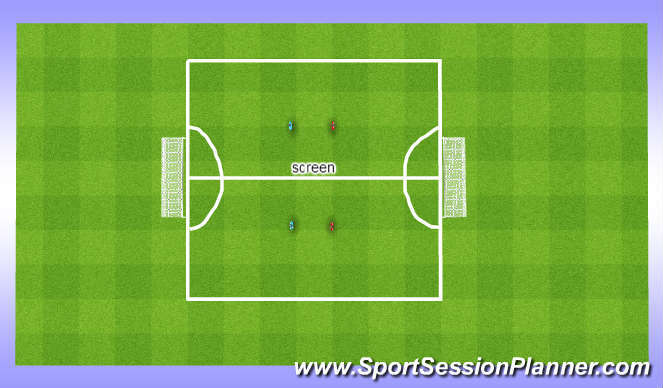 1 player to screen ball from front player both sides. A. Players attack and defend depending on success of player in attempting to score. Get distance right shape to put pressure on and won the ball. Pressure. How? Denying opponents space to work (closing down) stay on feet challenge, block, tackle. Anaerobic work phys agility (turning) balance, co ordination of all body parts. All displayed excellent enthusiasm and relished the challenges set. Players worked hard difficult first session physically. Patience is the key and staying on feet. Repeating enough for muscle memory to &apos;kick in&apos;.